Microsoft has released new version of Windows media player and Internet explorer for its new generation OS, Windows 7. 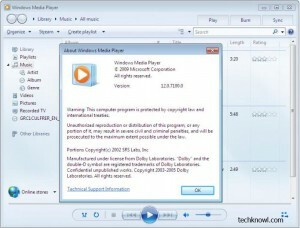 The new Windows media player 12 is specially designed for Windows Vista and Windows 7. So for now its not possible to run Windows media player 12 on Windows XP. Actually the new WMP 12 is almost similar to Windows media player 11 which is now freely available for download. 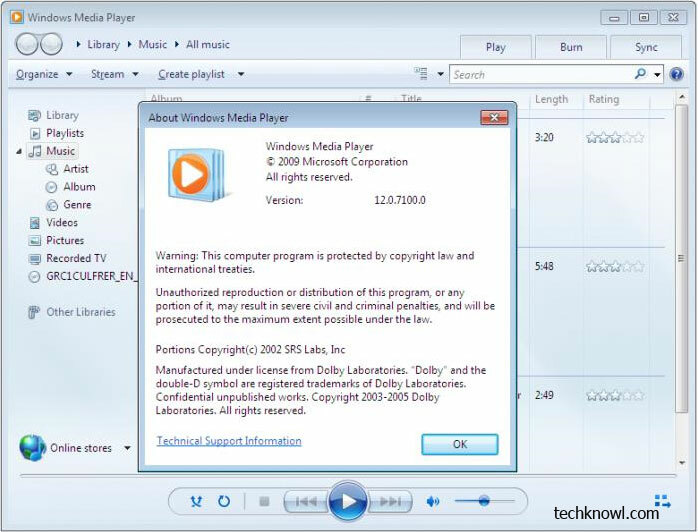 However, if you want Windows media player 12 in your Windows XP system, here is a solution. One Deviantart user has manged to extract Windows media player 12 resource files and made it available for Windows XP users. Windows media player 12 has a new attractive toolbar design and compact menu structure. It can be used to burn or rip music disc, purchase music online, organize media files, sync from other music sources etc. The sound quality of Windows media player 12 is very similar to that of WMP 11. So installing the player in Windows XP won’t make much difference. Checkout this post if you want improve sound quality of your Windows media player using another method. Download the following ZIP file. It contains two folders. From which , transfer wmploc.dll to your Windowssystem32 folder and the other one to program files folder . 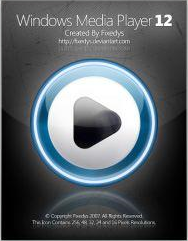 Download Windows media player 12 for Windows Vista/XP. The Windows media player 11 was earlier available only for Windows Vista. Later Microsoft released it free for all genuine Windows XP users. So if you are genuine Windows XP user, chances are high for an official Windows XP compatible version any time soon. Where is the download link??????? Where is the Download link ???? can anybudy help me to get the Link please. ”Download Windows media player 12 for Windows Vista/XP. Buddys, do NOT download & install this file even from other links, @ least on XP!!! It has trojan & makes ur system 32 folder size > 1 Gb!!! & also no WMP works!! This does NOT work by this way on XP & it causes more problem!! Why you can not provide wmp 12 for xp when wmp is a universal player for windows and that too when you are totally going to stop further updating of win xp ? Can the wmp 12 working on win xp? can this installer of wmp 12 working on windows wp? I am affraid it will make my wmp 11 risk. They made it for 7, you can get it to work on vista! Oh jesus you might as well delete this entire post..